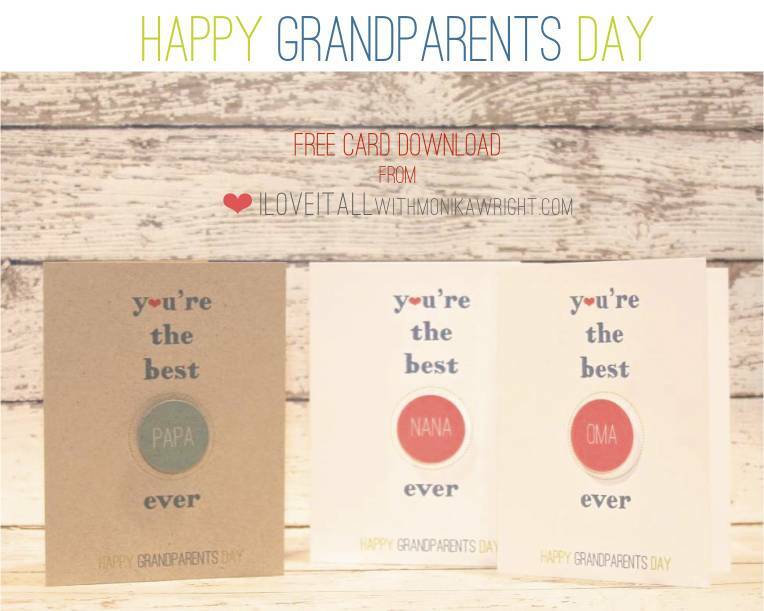 Grandparents Day is this Sunday and if you hurry and print this card and mail it today, it may just make it in time to make the Grands feel extra special and smile a big smile because you remembered them! 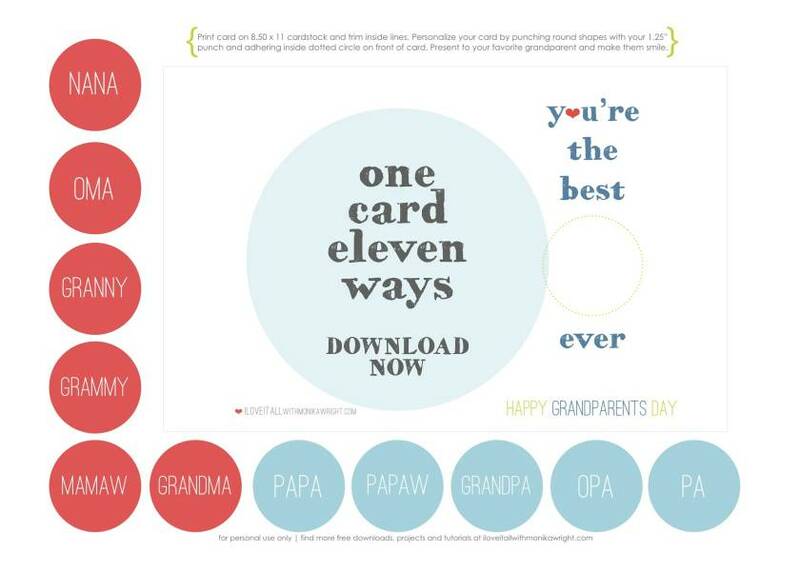 Just print, punch your circle shapes and then trim out the card along the lines. I used a foam dot to pop up the names of our special grandparents before adhering it inside the dotted circle, but you don't have to. It looks equally nice on a crisp white cardstock as it does on a muted kraft-toned cardstock. 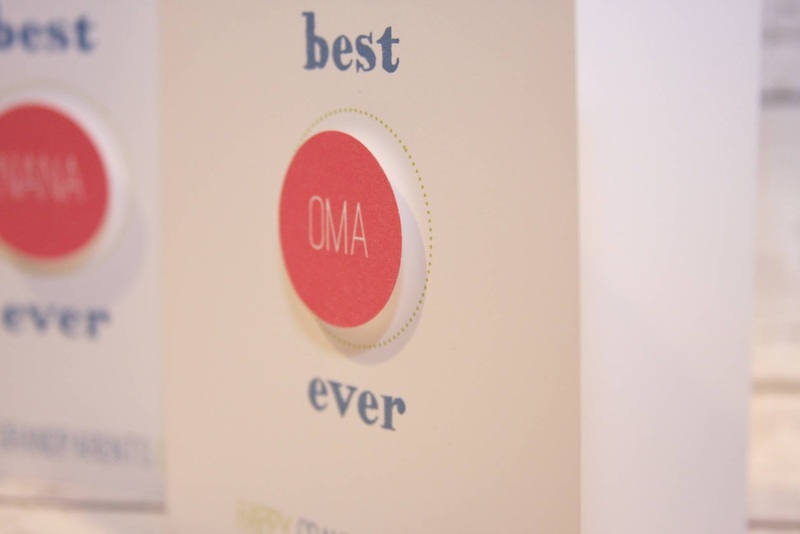 Slip it into an envelope, add a stamp and mail it off where it's sure to bring smiles to the faces of your special someone. If you don't have to mail it, just slip it inside a glassine bag and tie with some baker's twine! didn't know it will be grandparents day on sunday. 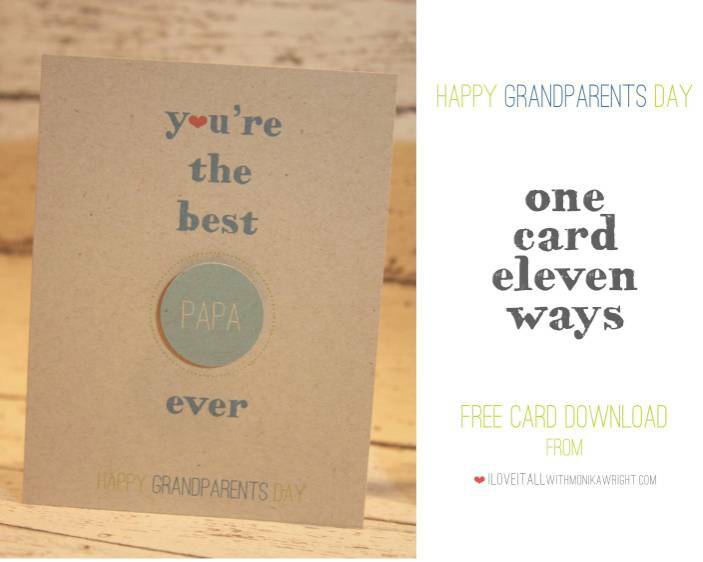 my opa will be over for lunch on suday, guess i'll treat him with an extra special dessert. Oooh, I hope you share a photo of your extra special dessert, you're such a wonderful baker! That's a really cute download! Thanks for the reminder! I hope you enjoy the download Jill, thanks for dropping by!